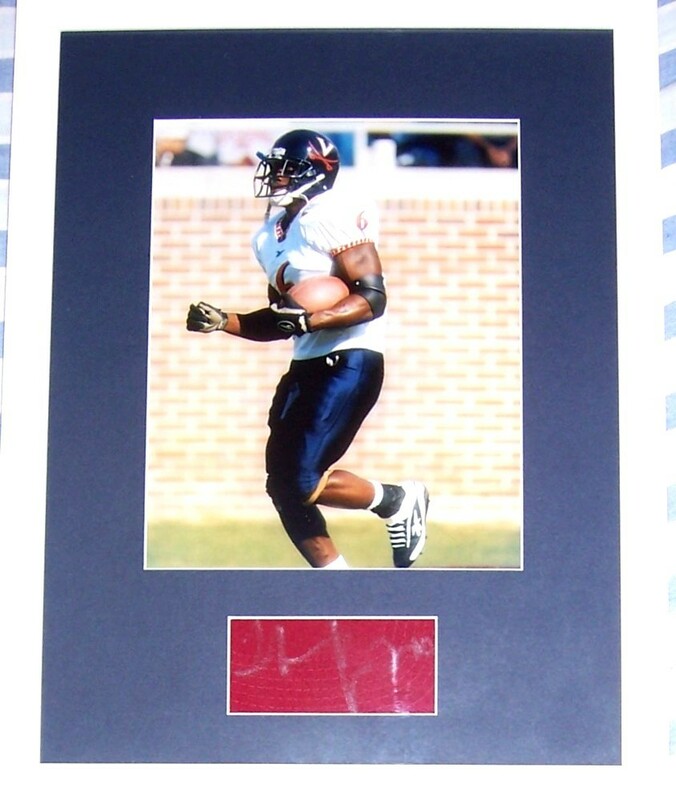 Thomas Jones silver marker autograph on red fabric professionally matted and framed with an 8x10 action photo from his days starring for the Virginia Cavaliers, ready to hang. Obtained in person. With certificate of authenticity from AutographsForSale.com. ONLY ONE AVAILABLE FOR SALE.